Child and adult traumatization and recovery in war, military occupation, and domestic violence; Mass trauma (terrorism & disasters) response; Mass migration and trauma; School-based abuse prevention; Clerical child sexual abuse; Eye Movement Desensitization and Reprocessing. On-going research seeks to develop a unique cross-cultural conceptualization of intergenerational and developmental trauma in children. Dr. Barron established the International Centre for Child Trauma Prevention and Recovery to develop global trauma recovery research projects, and the Trauma Response Network to respond to mass trauma events, e.g. terrorism. 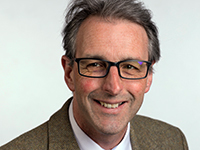 Dr. Barron has received a CARE Accolade from the Scottish Social Services Council for his work in juvenile detention, an Award of Excellence from the Ministry of Education and Higher Education in occupied Palestine, and is a recognized Impact Champion (University of Dundee). Dr. Barron’s recent activities include establishing the Conflict and Migration research theme (Global Challenges Research Fund), developing PhD Humanitarian Scholarships for students from An Najah International University, Nablus, and in partnership with CARE (Ramallah) organizing a national Mental Health symposium in the West Bank, occupied Palestine. In collaboration with the Children and War Foundation and Fight for Peace, Dr. Barron is currently PI for a project that aims to address child traumatization in Brazilian Favelas and a co-PI on a project that explores the transition of youth in juvenile detention to independent living (Glasgow, Scotland). This year, Dr. Barron has submitted journal manuscripts on clerical child sexual abuse across global religions; organizational child sexual abuse and disability; and a trauma-specific approach to suicide prevention in juvenile detention. Keynote presentations in Dundee, London, and Ramallah covered Refugee traumatization and recovery; CBT with paraprofessionals - lessons for EMDR; and Ten years of trauma recovery capacity building and research in occupied Palestine. Finally, international trauma-informed trainings and seminars included topics of substance use, pre-birth trauma, children’s understanding of confidentiality, vicarious trauma, trauma-informed schools, and complicated grief in children and adolescents.